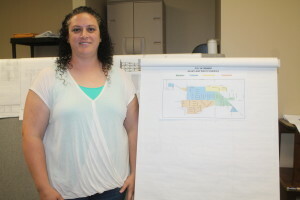 Marti Kingsley likes the flexibility that her job as office manager of Heartland Waste Management offers. Heartland Waste is the garage service for Winner and area towns. In the past, the company did not have an office manager. She handles the day to day office duties such as answering the phone and helping individuals with their questions. Persons who are interested or have questions about garbage routes can call Kingsley at 842-3692 or her cell at 840-2165. Kingsley and her husband have three children—Shaleena, age 11; Raelynn, 10 and Bode, 7.